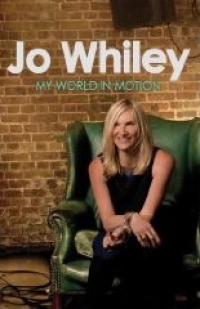 Jo Whiley faces the same dilemmas that confront women up and down the country. She juggles a full work schedule with a big family and – thanks to the grandparents – still manages a social life. But it just so happens that Jo’s job is being Britain’s most successful female radio DJ, her social life involves covering Glastonbury, and rather than the average 2.4 kids, Jo has plumped for the distinctly more difficult 4.2 (.2 being a hamster called Roger …).”My World in Motion” is constructed around the seven days of the week, giving a sense of Jo’s extraordinary commitments. But it also reflects the way in which Jo’s life mirrors the challenges of our own. Each day focuses on a particular aspect of Jo’s life: Monday: DJ; Tuesday: Daughter; Wednesday: Icon; Thursday: Wife; Friday: Sister; Saturday: Mother; Sunday: Me. In this completely honest and yet impossibly elegant book – rather like the woman herself – Jo talks for the first time about how she has reconciled her family and her private life with a stellar career in the cruellest and most relentless spotlight in the world.